How does beautiful skin rejuvenation, without the lasers sound? Good? Impossible? Well, yes, it’s good, and yes, it’s possible without lasers! We’re top of our game when it comes to being at the forefront of beauty technology, techniques, and products. And we’re so excited to be able to treat all skin tones now, with eMatrix. eMatrix is a non-laser skin rejuvenation treatment which achieves very similar results to laser skin rejuvenation. If you have olive, Asian or black skin, then you’ve probably been told in the past that laser treatments aren’t for you. 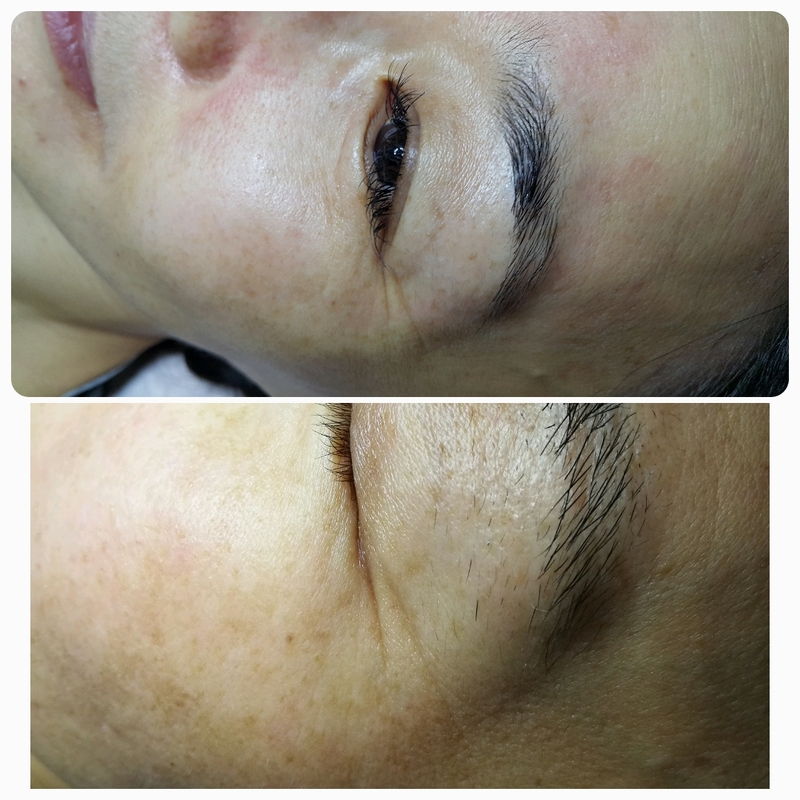 Using a laser on the skin with more melanin (the component in our skin that gives us our coloring, the more melanin, the darker the skin) can result in patchy, darker areas called hyperpigmentation. This is because higher levels of melanin absorb light from the laser more quickly and the treatment, therefore, needs to be more intense, leaving these areas of hyperpigmentation behind. eMatrix uses radio frequency waves instead of lasers, in a process called sublative rejuvenation. The radio frequency waves are fired in pulses at the skin which causes collagen to be regenerated. Collagen is responsible for plumping up our skin. When we age, collagen levels reduce, causing wrinkles and fine lines. Imagine collagen as a framework. Once that framework starts to breakdown, the skin laying on top of it will start to dimple and wrinkle. Regenerating collagen results in plumper, younger looking skin. Radiofrequency waves are not absorbed by melanin. Plus, during an eMatrix session, the radio frequency waves go deep into the skin, below where the melanin sits. Therefore, it’s safe for all skin tones. If you have wrinkles, fine lines, sun damage, acne scarring, enlarged pores or a dull skin tone, then eMatrix sublative rejuvenation is for you. You’ll have full control too. Choose the intensity of the treatment depending on your skin and the results you want to achieve. We’ll use a numbing cream beforehand, so you’ll only feel some mild pain, similar to an elastic band being flicked onto your skin. Your session will only last around 20 minutes. You’ll have some slight swelling and redness for a few days afterward and you’ll experience some mild ‘scabbing’. 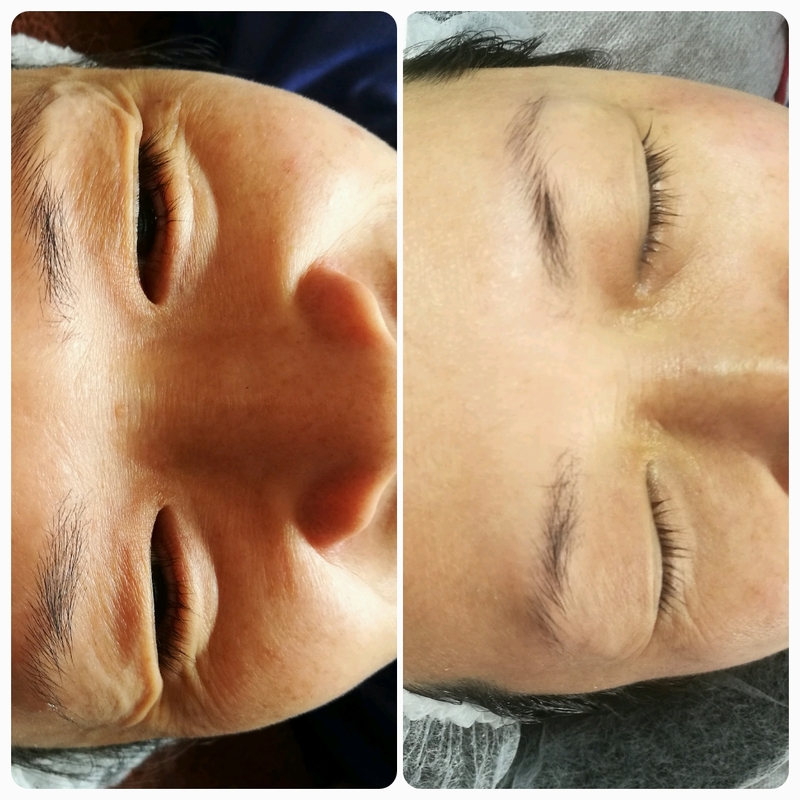 You might want to avoid seeing people for a few days, but once the redness, scabbing and swelling go down, you’ll be eager to show off your fabulous, youthful skin! Book your eMatrix with us today and never look back.